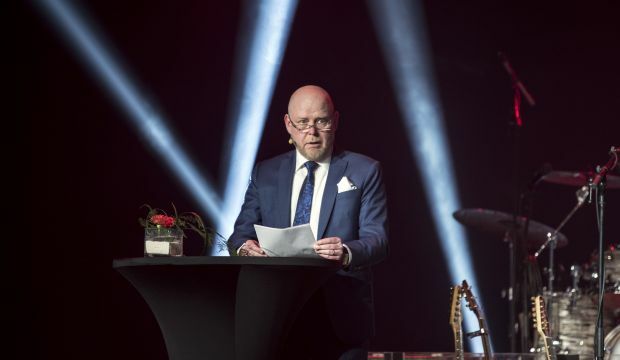 The spark for an event in the subcontracting sector was lit when in 1985, an entrepreneur from Lempäälä asked Rafik Neuman, the previous managing director for the trade fair that one important question: “What can you offer me?”. Because Tampere Trade Fairs did not have any suitable events to offer for the needs of the manufacturing industry at the time, they started to plan such an event in earnest, and with great speed. A success story may only require that one person poses the right question to the right people at the right time and in the right place. Demand creates supply, and this has also happened with the Subcontracting Trade Fair. Pioneering work was rewarded, when the first Subcontracting Trade Fair saw the light of day in 1988. Rafik Neuman had been discussing the need for such an industry event also with an entrepreneur from Tampere, a small workshop owner called Taisto Sorjonen and Kari Aarnio, who was at the time the business liaison officer for the Federation of Finnish Metal and Engineering Industries, and later the efficient chair of the exhibition committee. Both men were convinced of the trade fair’s usefulness. The eager commitment of operators in the industry came as a surprise, not only to the men themselves, but also to everyone else, when Neuman and Aarnio presented their idea to the receptive business world. Inspiration for the plans had been looked for in foreign countries, as industry trade fairs had been organised for a long time in Jönköping in Sweden and in Paris, France. Getting acquainted with these events provided the necessary know-how on how to bring about the Subcontracting Trade Fair. The people in the industry were very interested in the pioneering work, and finally this active pioneering work was rewarded, when the first Subcontracting Trade Fair saw the light of day in 1988. Subcontracting Trade Fair is a very lively 30-year-old event and it isn’t showing any signs of slowing down. After these historical times, a lot of water has run through the Tammerkoski rapids during these past 30 years, and the Subcontracting Trade Fair has kept its position from year to year as the most successful fair event in Tampere. We have certainly done something right over the years, and things have been developing in the desired direction, because this year the Subcontracting Trade Fair is a very lively 30-year-old event and it isn’t showing any signs of slowing down. Like wine, it just gets better with age. This subcontracting industry event has grown to the most important industry event in Finland. The succinctly named Subcontracting is in itself a brand, and the event gathers about 1,000 exhibitors from approximately 20 countries, and almost 20,000 industry professional and expert guests to Tampere Exhibition and Sports Centre. This subcontracting industry event has been vital, vibrant and successful from its early moments on, and it has grown to the most important industry event in Finland, and to one of the most important international events in the industry. Business do not run efficiently without real meetings between people − This is the place where demand, supply and the right people meet. For many businesses and entrepreneurs, the Subcontracting Trade Fair still continues to be the three most important days of the year. It is a big deal in this day and age, where you feel that all contacting and activities have to be done through networks. But as we know it, this is not true. The Subcontracting Trade Fair is a meeting place that the industry needs, because the fact is that business do not run efficiently without real meetings between people. Trade Fairs often change their form, and actual deals are often made elsewhere, but contacts and customer relations are still going to be handled in the future in a way allows for people to meet each other face to face. You have to know your partners before things really start happening in a big way. This is one of the reasons for the success of the Subcontracting Trade Fair, because this is the place where demand, supply and the right people meet. And that enormous excitement under these roofs every September creates a unique feeling of the subcontracting spirit, which helped subcontractors and other industry people to keep going also during those years when the future did not look its brightest. Location as the birthplace of Finnish industry and as the cradle of engineering, has also promoted the growth and development of the Subcontracting Trade Fair. A significant reason for the success of the Subcontracting Trade Fair has also been the fact that right from the very start, the organizers’ goal was to first satisfy the wishes of the exhibitors, then the expectations of the visitors, and only after that the needs of the trade fair company itself. The industrial heritage of Tampere and the city’s location as the birthplace of Finnish industry and as the cradle of engineering, has also promoted the growth and development of the Subcontracting Trade Fair. With patient and continuous cooperation, by listening to the companies in the industry and to their needs, by sniffing out future trends and with positive attitude and courage, we have created an 30-year-old event which we are now glad to celebrate and which brings success for the whole Pirkanmaa area. We have managed to keep its most important function as the meeting place for subcontractors and main contractors. Over the years the original Pirkkahalli has grown in size, and with increased number of halls trade fairs can be organized in even grander scale here in the current Tampere Exhibition and Sports Centre Even so, the place is packed to the brim every year, and not all those who would like to come can be accommodated for. Today, the event is important to the whole of Finnish industry in many ways, but we have managed to keep its most important function as the meeting place for subcontractors and main contractors. Behind the popularity of the trade fair is the functioning network of exhibitors, customers, partners and the enthusiastic and accomplished team of Tampere Trade Fairs. Thirteen of the thousand exhibitors of the event, the so-called Subcontracting Hall of Fame, have been coming here from year one. That is another indicator of the fact that this is one of those events it is worth to commit to. The main theme of the celebratory year is productivity. The main theme of the celebratory year is productivity. Subcontractors of the manufacturing industry have ensured their competitiveness and their competitive edge by continuously developing productivity and with investments. This trend is not going to change in the future, which makes productivity an apt theme. During the Subcontracting Trade Fair, that we are organising next autumn for the third time, an AlihankintaHEAT networking event for start-ups and industrial companies. This year it is a three-day event that takes place in the main lobby. It is very important that the content of the trade fair develops all the time, and AlihankintaHEAT gives also the industry serving start-ups a chance to be involved in the event, because in addition to traditional competence, the industry is always in need for new and agile ways of thinking. AlihankintaHEAT gives also the industry serving start-ups a chance to be involved in the event. Subcontracting Trade Fair is a networking opportunity like no other. As the exhibition committee chairman for the Subcontracting Trade Fair, and as someone who has participated in this Trade Fair from the beginning, I can honestly say that the Subcontracting Trade Fair is a networking opportunity like no other. A warm welcome to the event’s main partners: Federation of Finnish Technology Industries, Rubber Manufacturers’ Association of Finland, Finnish Association of Purchasing and Logistics LOGY and Finnish Plastic Industries Federation, as well as to all those who are, in one way or another, contributing to this success story. Vision is to be the most important subcontracting trade fair event in Northern Europe. Subcontracting is strongly developing and becoming more international, and our vision is to be the most important subcontracting trade fair event in Northern Europe. As the song which suits our theme so aptly says, at thirty you have been through many years of wear and tear, but the Subcontracting Trade Fair is definitely still going have many active years ahead of it. I would like to offer my very warmest congratulations to the Subcontracting Trade Fair. Welcome to the fair in September! Year of celebration for the Subcontracting Trade Fair began on March 20, 2018 at the Tampere Exhibition and Sports Centre, where the # AH30V celebrations were held. The column is based on the ceremonial speech of Kari Sorjonen which was given at the event. See pictures and a video from Subcontracting Trade Fairs thirties party here.